Share the post "Featured New Releases – 2/26/2019"
Since our last installment of featured releases, we’ve gotten our hands on a plethora of brand new music that we are pleased to provide for your listening enjoyment. Check out a selection of the new albums and singles below, and stay tuned at 88.7 FM or online at wwcfradio.org to hear great music, both new and old, everyday. Share the post "Featured New Releases – 11/21/2018"
We have plenty to be thankful for here at WWCF, but chief among them is all the new music that we take pleasure in delivering to your ears over the internet and over the airwaves. However you choose to observe the holiday of gratitude and appreciation, we hope you are thankful for WWCF as much as we are for our listening audience, and that you consider showing your support with a contribution to our endeavors as we strive to provide a curation of the best music and new releases. Share the post "Featured New Releases – 9/3/2018"
Summer’s almost over, but the weather’s still hot and there’s still a plethora of great music coming out that we’re more than happy to play for your listening pleasure. With this batch of featured new releases, we yet again bring you great music new artists as well as several veteran performers whose creative endeavors continue to impress. Stay tuned to WWCF 88.7 FM and wwcfradio.org for all this and plenty more! 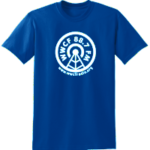 Share the post "New Magpie Salute Album & Other Thank You Gifts"
Check out WWCF Radio’s new Thank You Gifts page to see what items are available to donors who contribute $20 or more to the station. 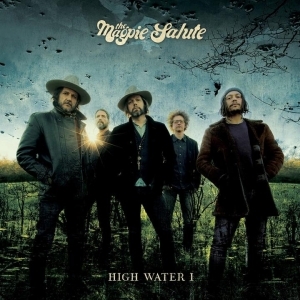 During his evening program this Friday, August 3, starting at 10pm, Steve will be featuring selections from our latest thank you gift, the newest album from The Magpie Salute, High Water I. Check out our Thank You Gifts page for information about items you can receive for donating to WWCF! We have several important upgrades and features planned for the station. With the necessary support, we can make make these improvements a reality. Copyright © 2019 WWCF | Cove Mountain Educational Broadcasting, Inc.